Would You Like Something To Snack On? Before Vixen was signed to a record label, I was paying the bills by playing bass for Australian 70’s pop songwriter/singer Helen Reddy. As a small town girl from Minnesota I was completely bowled over by the decor at the mansion as we were getting ready to play a gig for the Governor’s birthday party. Between the his/her marble sinks in the bathroom they let us use and the swans we witnessed from our limo drive up the world’s longest driveway, I was taking it all in and gasping for air at the same time. Three flashy waiters came in, white gloves and all carrying trays of snacks for the Helen Reddy band. Now hold on a minute here. We were used to a few carrots and dip. Maybe some crackers and cheese on occasion. Of course, me being the openly clueless and curious one had to ask. I pointed at the bowls of black lumpy stuff laid out with plates of lemons and crackers huddled next to bottles of champagne. I was so used to Helen being treated like a queen that when it came time to us, ‘the lowly band’ and we received royal treatment, it was shocking, unexpected and somewhat wondrous. 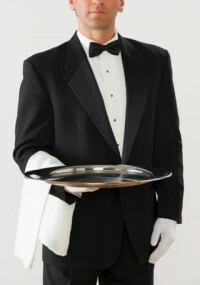 Where in your life/business are you accepting or even expecting anything less than first class treatment? Where can you begin to shift into giving and receiving ‘caviar’ style services??? When have you expected crappy old ‘snacks’ and instead received first class, red carpet treatment? Did you allow it in your heart? And by the way, yes. I ate those salty fish eggs. And no, not really a fan of them. But damn straight it was fun! !